Can I Borrow Money To Buy Property in the USA? 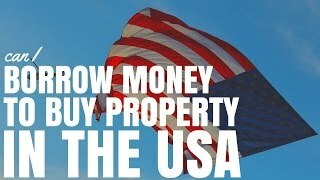 Can I Borrow Money To Buy Property in the USA? There are many Australians having success investing in property in the US. But can you borrow more to buy property in the USA or do you need to pay cash? Can you borrow money from an Australian bank to buy property in the United States? This is a question that a lot of people have been asking because they hear about these awesome rental yields in the United States. Now, I’m going to talk through this in more detail in today’s episode. Hi! 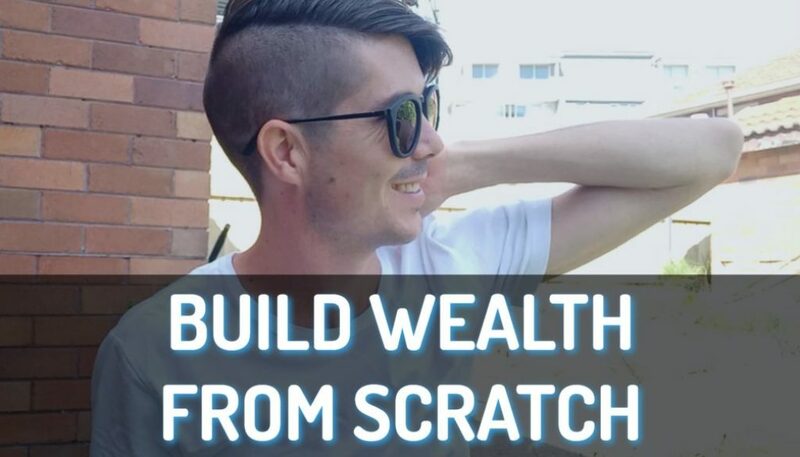 I’m Ryan from onproperty.com.au, your daily dose of property education and inspiration. I’m actually going to start this episode with a preface to say that I’m not the best person to be talking about this. I have not invested in the United States. I have not tried to invest in the United States. But I have talked to a few people that have and I do know a little bit about this. And so the fact of that matter is there’s not a lot of awesome content out there that is going to answer this question for you. And so I just want to get out there, I want to give it my answer and I want to help you along the way. If you want something that’s more professional, more succinct, that is right to the point, filled with legal jargon and is really hard to understand, then I suggest you go somewhere else. This is basics to the point can you borrow money from an Australian bank to invest in the US. And basically always speak to a mortgage broker who is a professional with a license before you go ahead and do this. So US lenders, let’s start with them. Okay, you’re an Australian, you’re going over to the US, and you want to buy property in the US. We’ll want to talk more about Australian banks but we’re going to start with the US banks. US lenders generally won’t lend private individuals from Australia money to invest in property. So if you go over there and say, ‘Look, I’m from Australia and I’m going to invest in property. Lend me some money.’ The banks in the US will likely say, ‘Uh-uh. Sorry, can’t do it. We’re not going to lend you money.’ Many US lenders will often lend to US companies and so I have heard of people actually creating a US company or a limited liability company or whatever they call it over there. And then investing using that company however, I am not sure how that works at all. So if you want to do that, get some pretty hectic legal advice from someone in the USA about how you can do that. Australian lenders, so if you go to an Australian lender, they won’t usually lend you any money for investing in US property and by that I mean, they won’t use the US property as collateral or security for the loan that you’re going to get. 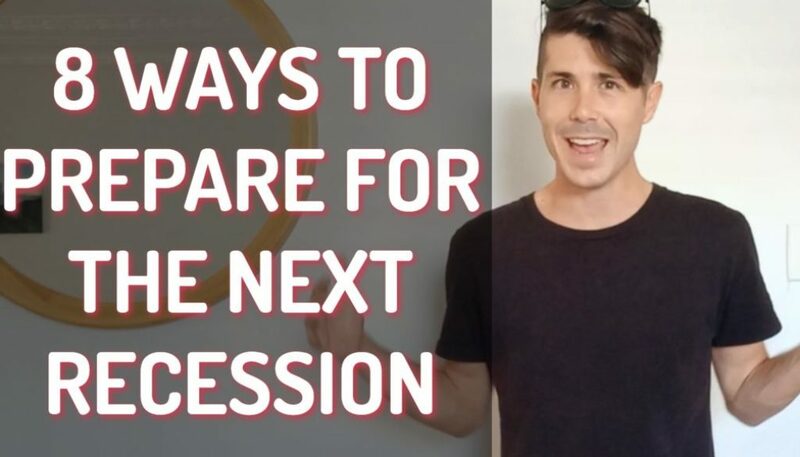 So when you go to purchase a property in Australia, what you generally do is you go to your bank or your mortgage broker and you say, ‘Look, I’ve got a deposit, let’s say 20%. Will you lend me 80% so I can buy this great investment property?’ And the bank will say, ‘Yes, I can lend you 80% but we are going to use that property as security on the loan. So if you default on the loan or if you disappeared to Bangkok or wherever it is that you want to go and you just decide not to pay your loan, we then take possession of that property and we can do what we like with that property in order to pay off your loan.’ So generally what they’ll do is that they’ll take that property and then they’ll sell that property and they’ll pay off the loan. But banks are very unlikely to take a US property as security. And the reason for this is pretty obvious. It’s a lot more difficult for an Australian bank to sell a US property and get their money back than it is for them to take control of and sell an Australian property to get their money back. So this poses a risk factor up higher for them and it’s much more difficult to get a loan. Having said that, go and speak to a mortgage broker because there may be some non-traditional lenders out there who’d be willing to lend you money and would use the US property as security. But I do think this is going to be pretty difficult to achieve. What investors do to get around all of these, to get around the fact that they can’t borrow money from the US, they can’t borrow money from Australia to invest in US property is that they would draw equity from their existing properties, get that in cash and then use that cash to go and buy a US property. So let’s say you want to invest in a US property and it’s $100,000. 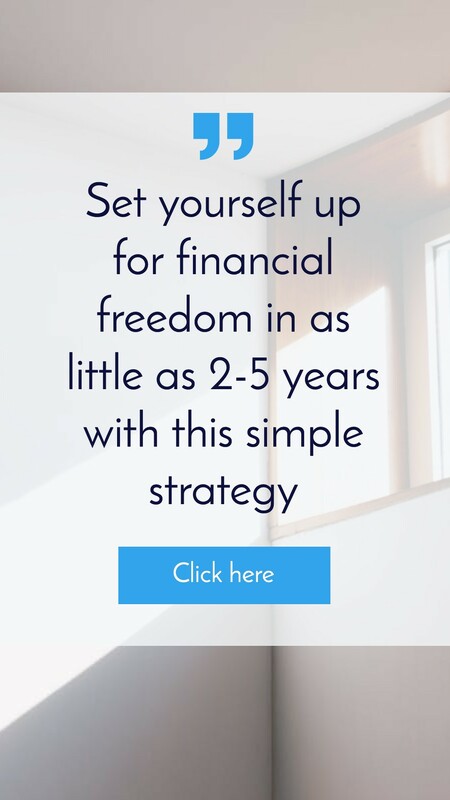 What you would do is if you have a portfolio already or a house or an investment property already, if you have equity that you can access in that property, you would go to your bank or your lender and say, ‘Look, I want to draw down $100,000 in equity in order to go and invest.’ But what happens when you draw that equity, the security for that equity is against your property in Australia. And so that’s okay with the banks or with the lot of them. Obviously, speak with a mortgage broker. And then what you do is you then receive that in cash, so you’ve got a loan of $100,000 and now you have $100,000 cash. Now you then take that cash and you go in and invest in a property in the US using that cash. So the property in the US, there’s nothing secured against it. It doesn’t affect your loan-to-value ratio because you just own it out right basically. And that is the way that I have heard most investors invest in the US. 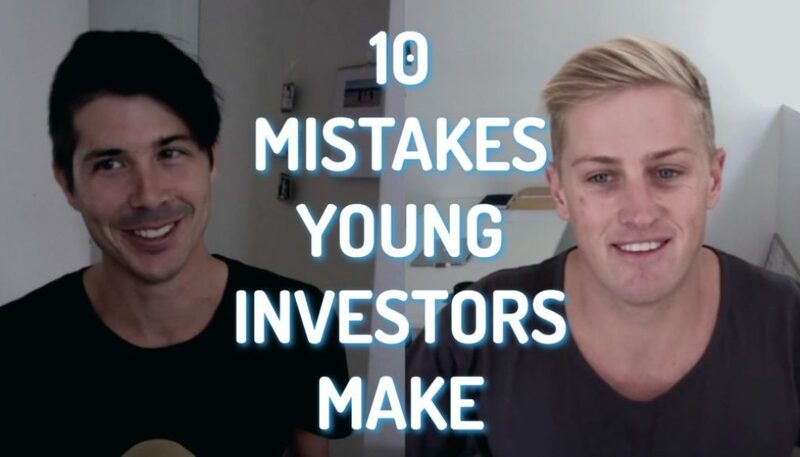 Now, I did do an interview, I think it think it goes back to episode 102 and 103 with a guy called Ben who is successful in investing in the US. So if you want to check those out go to onproperty.com.au/102 and onproperty.com.au/103 and I think it’s specifically episode 103 that we’re talking about in investing in the US. And he talks about that in more detail. But the advice that I got from him and that I have heard around the internet and that I have heard around other investors is that, firstly, you need to remember to take the exchange rate into account. Because when you’re investing in the US, I don’t know what the exchange rate is at the moment but I know the Australian dollar is less than the US dollar, you need to take into account that $100,000 property in the US is going to be more than $100,000 in Australian property. And those fluctuations in currency are going to affect your return on investment. So if the Australian dollar does well, then your investment is actually going to deliver less of return from the US standpoint, from currency exchange. However if the Australian dollar just tanks it, then your US property and the value of that is going to go up relative to the Australian dollar, and so you can actually get a return of investment based on the currency exchange then. But investing in currency exchange is very different to investing in property. And so that’s two different investment strategies that you are using at the same time. You also need to have a good team on the ground. Investing in property in the US isn’t something that you’re just bound to make money from. It’s not something that you can just go into and you can get massive rental yield and that it’s really easy to do. Look, investing in property is hard and there’s a lot to learn and the same goes for the US. So you need to have a good team on the ground in the US. And you need to have a strategy and you need to do your research. So you can’t just go into it, expecting to choose any old property and make money. You need to know your strategy, you need to know the area, you need to know the dynamics of the US market and the dynamics of the particular area that you’re investing in. and then you need to weigh up all those options before you go ahead and invest. So can I borrow money to buy property in the US? The answer is absolutely yes. If you have equity in an existing property and you can get a loan against that equity for investment purposes. Speak to a mortgage broker to find out about that. However, you cannot borrow money and use the US property as security against that loan. And it’s very unlikely that you’re going to be able to borrow money from a US lender in order to invest in property in the US. And again, I’m not a mortgage broker. I’m not a financial adviser, so just take this as probably what’s true. Not necessarily this is exactly what’s true. You need to verify this with a licensed mortgage broker who can tell you the facts as to whether you can borrow money to invest in property in the US. I’m Ryan McLean from onproperty.com.au. If it’s massive yields that you’re after, I can’t give you massive yields. 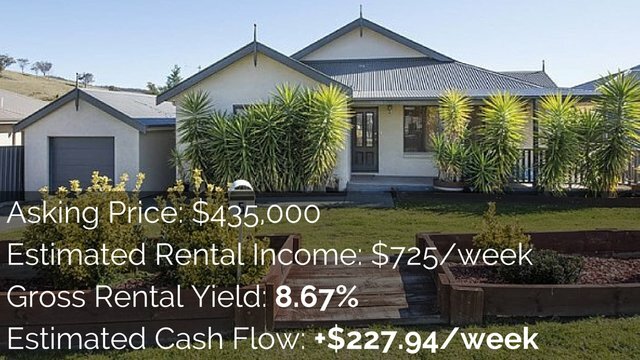 But if you’re looking at high rental yield properties that are likely to generate a positive cash flow, then I can help you out. 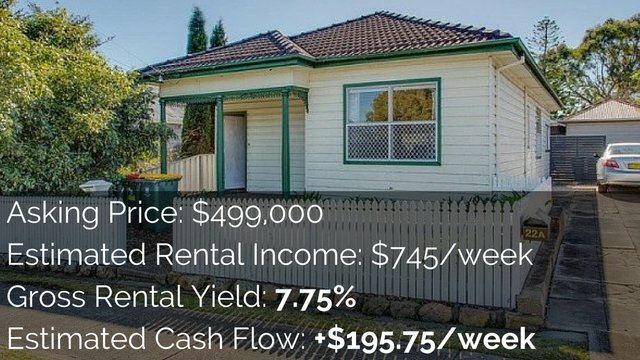 Go to onproperty.com.au/free and you can get 10 free property listings that I’ve gone out and found that have high rental yields and a good chance of being a positive cash flow. So you can see what those properties are, what areas those properties are in and you can use that to begin your search for positive cash flow properties. Again that’s on onproperty.com.au/free.